This chart displays Polio incidence rates (number of cases per 100,000 people) for each American state. 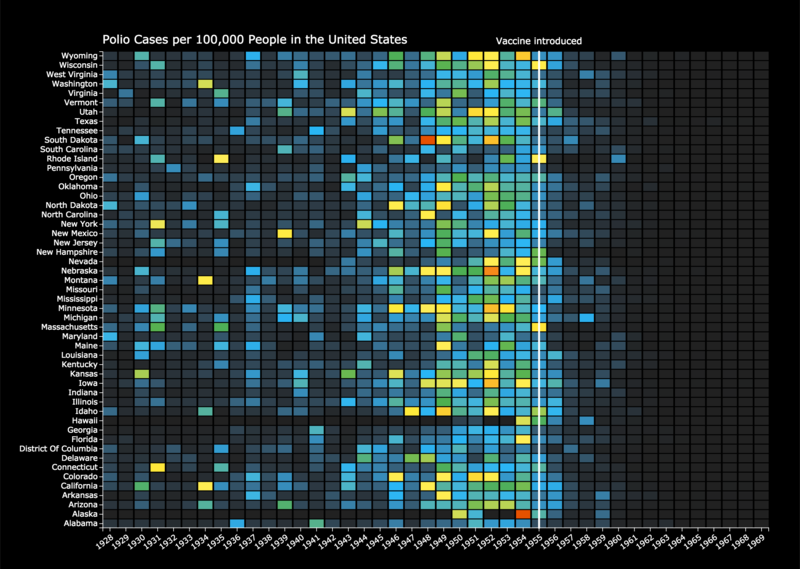 The chart is a heatmap where each cell represents the incidence rate for a given year and state. The color represents the incidence rate. Retrieved from Project Tycho; aggregated into yearly values.